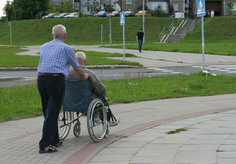 The Veterans’ Administration’s non-service connected pension program can help supplement the income of elderly or disabled veterans. The VA deems any veteran age 65 or older to be permanently and totally disabled. This “disabled” classification entitles senior citizens who are veterans, or their widows, to tax-free pension payments regardless of their actual physical condition, provided they meet the needs-based criteria. One significant advantage of this program is that, unlike a traditional service-connected pension, there is no requirement that your injury or disability be tied to your time in service. On the other hand, this is a needs-based assistance program, so many veterans may not qualify for benefits. To qualify for benefits under the program, you must have served on active duty for at least 90 days, and at least one of those days must have been during a time of war. Additionally, you must not have had a dishonorable discharge from the military. Once qualifying military service is established, you must also pass the income and asset tests. The VA must determine that your net worth is not enough to adequately support you during your lifetime. Your vehicle and primary residence are not counted when determining your net worth. The VA generally caps net worth, exclusive of your car and primary residence, at $80,000 for a married veteran, or $40,000 for a single person. Additionally, your countable income must be lower than the available pension amount. Fortunately, countable income is offset by your unreimbursed, recurring health care costs, including prescriptions, insurance premiums or assisted living expenses.